View history of orders of the visitors as you chat. See order’s status, items and quantities in the visitor information box. Fetch LiveCart details of the visitor on your Shopify store. 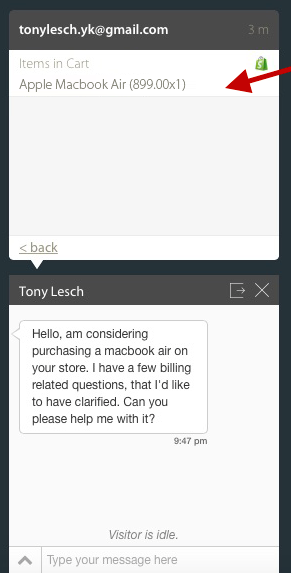 Only Admin has the access to install Shopify Integration in HappyFox Chat. This integration is available only in Mighty and above plans. 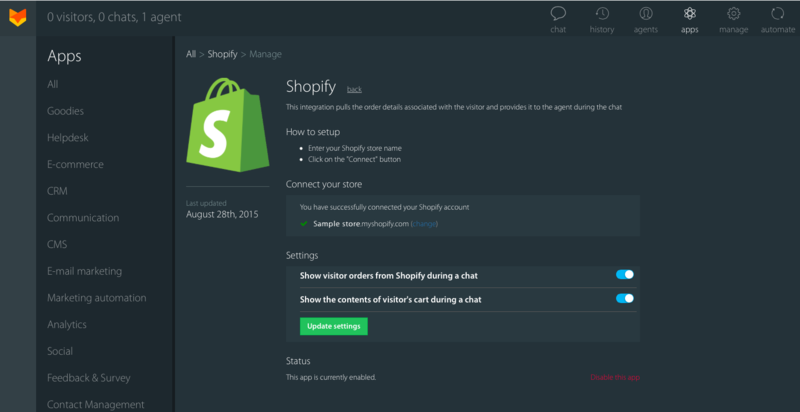 Step 2: Go to Apps → Shopify. 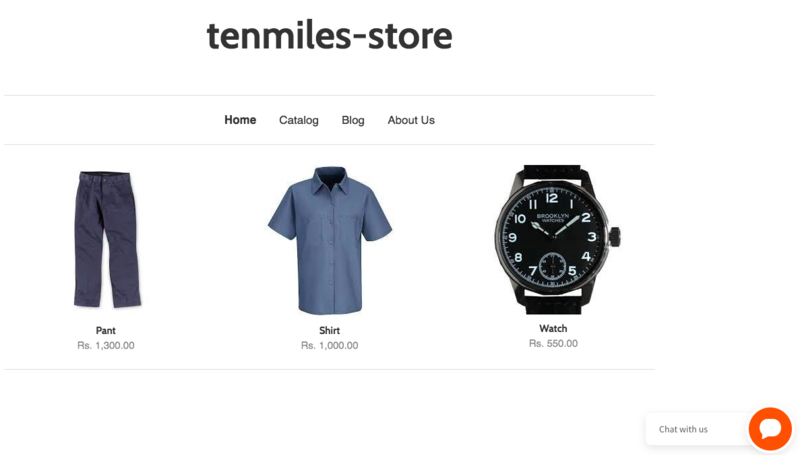 Step 4: Enter the name of your Shopify store name → click Connect button. 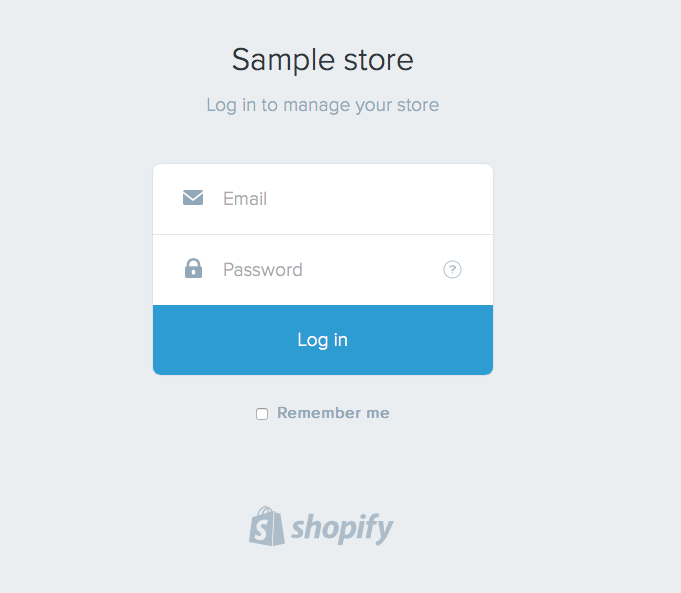 Step 6: Now, you will be prompted to enter your Shopify store's login credentials. Step 7: Once connected, update your preferences under Settings section → click Update Settings. 1. 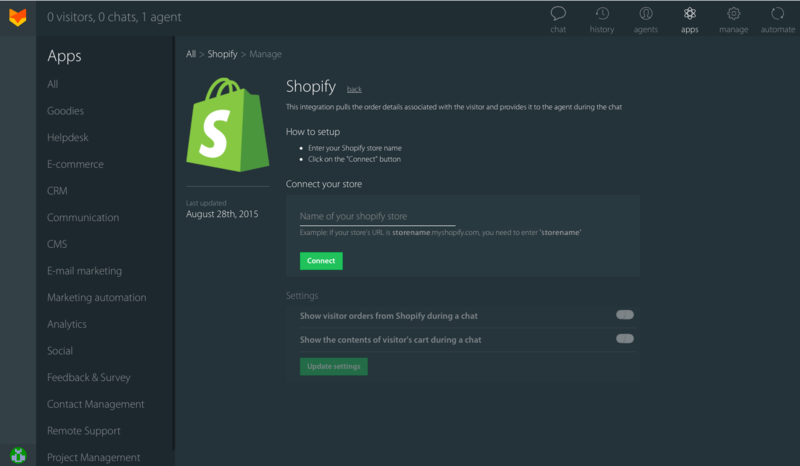 HappyFox Chat's widget will be installed in your Shopify store. 2. 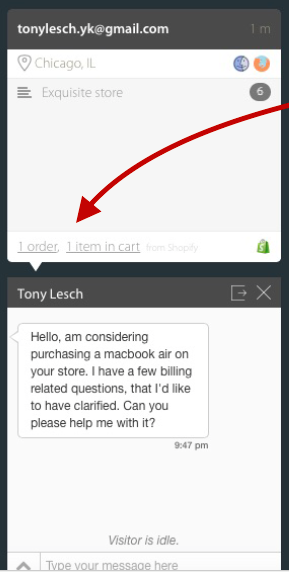 Order info and Live Cart info associated with your visitors will be displayed on the chat window during an ongoing chat. Clicking on the "X Order(s)" you can view the complete order details of the visitor. The Order Contents field displays the number of items associated with the order. Click the link to view the list of the items in the order. Clicking on the "X item(s) in cart" will display the list of items that the visitor has currently added to his shopping cart. 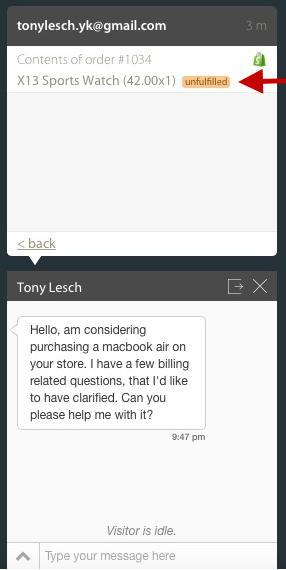 Integrate your Shopify store with your HappyFox Chat account, support your customers based on relevant information and boost your sales.